I LOVE seeing the creations of my friends!! Here is a cute Valentine created by my friend Georgia. The un-traditional colors (thanks to the Epic Day This and That Designer Series Paper) is ideal for her hubby!! 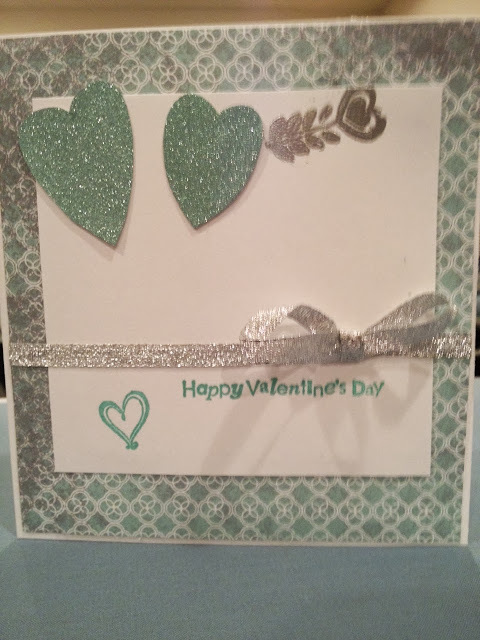 It goes to show... with a dash of sparkle, some fun masculine colors and patterns... a classic and love-filled card is a great way to show that you care!! Great Job Georgia! What do YOU like to create? Send me a picture (or tag me on Facebook, Twitter or Instagram) and I'll try to get YOUR Creation Posted HERE!! Leave me a comment and let Georgia know what you think! !